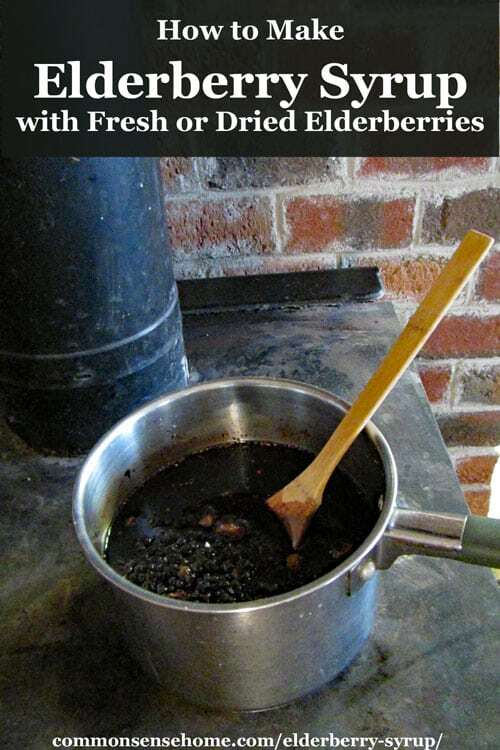 Easy elderberry syrup recipe made with soothing herbs, honey and dried berries. Place berries, water, and spices in a saucepan. Bring to a boil, reduce heat, and simmer for 20-30 minutes, until liquid is reduce by one half. Strain the mixture into a bowl, squishing juice out of the berries. Stir in honey. Allow to cool and stored in a sealed jar in the refrigerator. Will last for 2-3 weeks stored in the fridge. Note: If you want to preserve all the benefits of your raw honey, make sure to heat the syrup gently. Do not bring to a boil. Elderberry, lemon and cloves combine for a gentle syrup for colds and coughs. Sterilize two 16-ounce jars or four 8-ounce jars, keep hot. Heat lids and rings in hot water, keep warm but not boiling. Fill water bath canner and bring to boil. Combine all ingredients in a large, non-reactive pot. Heat and stir until all sugar is dissolved. Bring to boil and boil for ten minutes (this infuses the flavor of the spices into the syrup). Strain out cloves and ladle hot syrup into sterilized jars leaving 1/4″ headspace. Wipe rims clean and screw on the lids. Process for 10 minutes in water bath canner (add 1 minute for every 1,000 feet above sea level). Makes around 1-2 pints (3-4 cups) of syrup. Adapted from Ashridge Trees in the UK. Elderberry, cinnamon and honey combine for this soothing elderberry syrup for kids. Sterilize three 16-ounce jars, keep hot. Heat lids and rings in hot water, keep warm but not boiling. Fill water bath canner and bring to boil. Combine all ingredients in a non-reactive pot. Heat and stir until all honey is dissolved. Ladle hot syrup into sterilized jars leaving 1/4″ headspace. Wipe rims clean and screw on the lids. Elderberry syrup on the stove top. The first time I made elderberry syrup, my friend,Tami, harvested and processed a ton of berries into juice. (You can see how she processed the fresh berries into juice here.) She brought juice over later in the week, and we set to work making syrup. Elderberries grow on large shrubs that like plenty of moisture. The American black elderberry is native the eastern United States. You may be able to find it in the wild, but make sure you have a positive ID before harvesting. You can see the plants and tips for identification here. Elderberry bushes are also available through nurseries, so you can grow your own. We planted a number of them at the north edge of our yard, and they are now starting to fruit. You can also get elderberry gummies for kids. Note: Ceylon cinnamon (Cinnamomum zeylanicum or Cinnamomum verum – true cinnamon ) has better medicinal qualities than cassia cinnamon (Cinnamomom cassia). I usually buy my Ceylon cinnamon sticks in bulk to save money and split the purchase with friends. I store any unused cinnamon sticks in a vacuum sealed mason jar to preserve freshness. 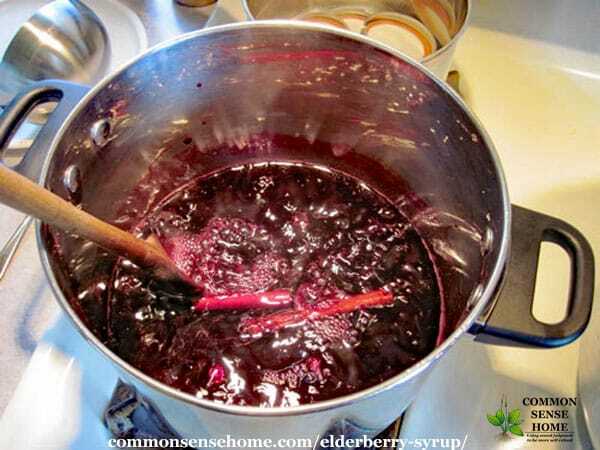 Although I include instructions for canning elderberry syrup, you may also store it in the refrigerator for 2-3 weeks. For longer storage, canning or freezing is recommended. Use an ice cube tray to freeze small amounts to thaw as needed, or wide mouth freeze or can jars. You can double or triple the canned syrup – just adjust the sugar and other ingredients accordingly. If you have an abundance of berries, the honey elderberry syrup makes a pretty good pancake syrup, too. Elderberries have been used for years in folk medicine, but recent studies are identifying numerous health benefits, too. Elderberry syrup was one of the few things my youngest could take for coughs that didn't upset his stomach. 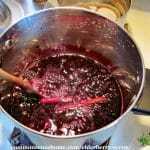 Is Elderberry Syrup Effective Against the Flu? The effect of Sambucol, a black elderberry-based, natural product, on the production of human cytokines: I. Inflammatory cytokines. I'm very thankful to have a stash of elderberry syrup on hand for the coming winter months! Can dried elderberries be reused to make two batches of syrup? During cooking, the berries give up their healing compounds to the syrup. This means it's best to use new berries each time you make a new batch. 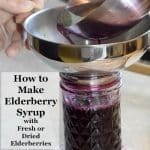 Note: If you're looking for the elderberry jelly recipes, see Elderberry Jelly Recipes – Low Sugar and Sure-Jell Options. We also have instructions for How to Make Elderberry Wine. If you've found this post useful, please considering sharing it. This post is for informational purposes only and is intended to treat or diagnose any illness. Please see a trained healthcare provider for symptoms that are severe or long lasting. Originally published in 2011, last updated in 2018. O God Bless you darling. I am just getting in to elderberries. Thank you so much for posting this. I have question, How do you know which ones are good to eat and which is not. I am still learning about elderberries. My father is wanting to plant them on his property so in the future I wont have to run and buy them or buy the premade. I would love to learn more on them the Internet is great but doesnt help with the actual berry processing itself. I knew I followed you for a reason. Lol! Thank you again so much. Elderberries are easy to grow and , when the bunch of berries get deep purple they are ripe. You can use clippers to clip the clusters off the tree, there will be many,many bunches on each (I will call them bushes) tree. They will give you a lot of enjoyment also. When you are ready to harvest have yourself a large container. I have a 3 gallon stainless steel bowl and that is what I use when clipping them off. I had one pan almost full when my daughter Heidi and I removed the berries from the stems and then (we have a juicer) so we juiced the berries and got 3 1/2 quarts of puree’. This system is so much easier and less time consuming than cooking the berries and draining them. All your work is done for you then because you now have thicker puree’ instead of just juice you can add about 2 cups of water to thin it out. Then just follow the Homestyle Jelly recipe. It is delicious and your family will love it. You can use these berries to make the syrup and that is good on pancakes and french toast. But syrups of any berry or fruit is also good sprinkled on things like cheesecakes etc. Please enjoy. As for finding the "safe" berries, there are lots of guides on the internet, but your best bet is to ask a local, especially older generation folks. Hugs my friend. I am not on FB much but miss all my buds. Have a great week. I don't know where to find them either but have been looking through nursery catalogs. Great job! The best way to find the elderberry bushes is to look around swamps or other damp ground. The best way to find elderberry bushes is to look for the huge flower heads (find a pic on the internet) on bushes (4-6 feet tall or so) in June when they are in bloom (in wet areas, common along the road). It is difficult to find the very dark berries at the end of August when they are ripe. In a pinch you can always use the dried ones from Mountain Rose Herbs or another quality supplier. Avid elderberry wild crafter was able to pick 80 lb. this season l do farm market sales of the jelly and is very popular I also collect wild grapes and sell that jelly also very popular . have been trying to find recipe for making jelly using honey i found some information guess i will have to experiment loose jelly always goes good on ice or pancakes. Jim – did you see the recipe with honey using Pomona's pectin? I made elderberry jelly for years and years when I lived on the farm and nothing in the world taste as good as elderberry jelly. I did use a little bit of lemon juice in the jelly and it made it taste so great. Looking to buy some elderberries since I saw from your website they will grow in Georgia. The farm was in Wisconsin. Thank you so much for your site. Elderberry Life sells seedlings. I’m thinking of planting some this spring. Wild foraging is fun, but it would be nice to have some closer to home, too. Momma always said, “Many hands make light work.” It is good to see people coming back to the skills that were once taken for granted. I love going out and picking and harvesting when the crops are lush and ripe. It’s glorious. Thank you for your words of support. What about using dried elderberries from the natural foods store, do you have instructions on how to use dried if you can’t find locally? Are you able to view the video? The video features a syrup made with dried elderberries. I have to make a comment regarding the elderberries… I was happy to harvest my own elderberries this year but found out the hard way that the seeds are toxic. thought I’d have a small bowl of the berries which my body quickly rejected and continued to for the rest of the day- (both ends). Cooking and straining the seeds is for good reason… which I did after that. One of those things you might not know until it happens to you- some people more sensitive that others. Was going to put the next batch in the blender – but the seeds – are they a problem if you bust them up? I like to use the whole tomato this way (minus the bad spots), and it makes great sauce. This might be my last year doing the elderberries, that was alot of work for very little produce. Birds love them tho, they wont go to waste. As I understand it, it is indeed problematic to grind up the seeds, because of the toxins contained in them. I use steam juicer and steam the berries for maximum juice. It is still a lot of work, destemming, but there is no crushing or straining them to get their juice. I just cooked 4 quarts of berries (an ice cream pail) and got 2 quarts of juice.–enough for 2 batches of jelly. I purchased mine on Amazon. Good luck!! Hope this helps! As I understand it, the bluish purple elderberries (the ones used in the tutorial) are safe, and seeds are not toxic, but it is the red elderberries you need to be concerned about. I believe once they are cooked, you’re ok, but I would double check that somewhere. I have TONS of wild red elderberries growing on and around our property, but I’ve been hesitant to work with them due to seed toxicity & my lack of knowledge of how to properly process them. Like anything in the wild, you had better know exactly what you’re dealing with before you jump in with both feet! Given that the commercial grower that I know processes all their products without seeds, and I’m generally not short on fruit, I’ll probably continue to skip the seeds, even if cooking is supposed to neutralize the cyanide forming compounds. You might be interested in this red elderberry experiment at Wild Harvests blog. If they are cooked, whole elderberries with seeds are no problem in moderation. Old fashioned cookbooks and foraging cookbooks are full of recipes for elderberry pie, cobbler, jam, dumplings and more. That said, too much will tend to have an effect on susceptible people. As one of my herbal guides puts it, “One slice of elderberry pie is delicious. Two slices of elderberry pie is delicious but may regulate your digestive system.” 😉 But again, they must be cooked first. I suspect the effect is similar to garden huckleberries (the ones that are in the nightshade family). I can eat a few, but when I made them into pie, it didn’t sit well in my stomach. The guests who were visiting loved the pie – one ate two pieces with no ill effects. this says red, is it the same for the dark blue-black ones? Is what the same? As I understand it, heat is supposed to neutralize the problematic compounds in the dark elderberries, but some sensitive individuals may still be affected. How do you store the syrup once it’s open? Keep in a sealed container in the refrigerator for up to two weeks. in the 60’s wives of the chp, sheriff and game warden (my mother) collected purple elderberries from Bass Lake, Oakhurst clear over to Hornitos. Of couse they treaspassed but it was so rural at that time no one cared. Her jelly was tart and fabulously flavorfull and very dark in color. The freezing and juicing are worth trying cause it truley was a mess no matter how you did it. If you can make it at least once. It can make your reputation as home cook. Would be good with turkey and game. Tonight I did your recipe of elderberry syrup with cinnamon and honey. Was my first time, but I processed it for the 10 minutes in the water bath and the jars sealed well. However, after talking with my husband I am super nervous about whether the acidity is enough to prevent against botulism 🙁 Have you had any spoilage from this recipe? While it’s impossible to guarantee the pH of your specific elderberries, testing at the University of Missouri yielded elderberry pH levels in a range of 4.56 to 4.91, which would place it in the high acid to borderline high acid range. As a sugar, honey inhibits bacteria growth by tying up free water. It is used in wound care for inhibiting bacteria growth. Cinnamon is also naturally anti-bacterial. The elderberry juice itself is also antibacterial. So with the combination of the three ingredients, the syrup should be within safe canning guidelines. Sugar ties up free water, inhibiting bacteria growth. Yes sugar does tie up water BUT if the juice is low in acid, it won’t be safe. You would need to add lemon juice. I’ve seen recipes that say elderberry syrup (non-canned versions) should be used within 3-4 months. What goes “bad” in the syrup? Would adding lemon juice extend the shelf life? One recipe says to use within a 3 week period. I would imagine that using dried (everything) plus lemon juice would really help out. What’s your take? The pH of elderberry can be right on the borderline in terms of “safe” pH for canning. Lower pH = reduced microorganism growth. Sugar binds up free water, which also inhibits bacteria growth. If you have a jar that’s being opened and used occasionally, you won’t have a set up for botulism growth, as it likes anaerobic conditions. Given enough time, even sugary preserves and syrups will grow mold and other interesting critters – it just tastes longer. Fruit does want to rot, after all. Herbs increase shelf life, as many are anti-bacterial. Using less sugar decreases shelf life (which is why low sugar jams will not last as long once open and should be refrigerated, while full sugar jams are generally shelf stable at room temp). Would it be safe to say that increasing the acid level with lemon juice and a larger concentration of sugar (to the syrup) would extend the shelf life? I just wonder how added sugar would affect the health benefits we derive from taking elderberry? Yes, more acid and more sugar would increase the shelf life to some extent. I’m sure there’s a point at which adding more of each would make no difference. I don’t have any studies that would provide a definitive analysis of change in benefits versus a sugared or non-sugared product. I’m sure there would be some variation between batches, too. Honey has healing properties in its own right. Even sugar can draw inflammation from wounds – because of the aforementioned ability to bind with free water. A syrup also coats the throat, as opposed to a juice, which would just pass through. I hope to ask one more concerning elderberry. 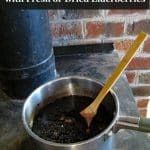 Does canning the syrup affect the medicinal properties (high heat and all)? My thought is to acquire a few pounds of dried elderberry from Mountain Rose, can it, and share with relatives. If I can it, then the shelf life will be extended (presumably) and sit on the shelf till they need it (easier then making as needed around here). The only thing I can say for sure on that one is that I do can ours and it definitely still works when we need it. Fresh and low temp as needed would be ideal, but it’s awfully handy to have it prepped and ready when you need it, and canned is much safer to gift. 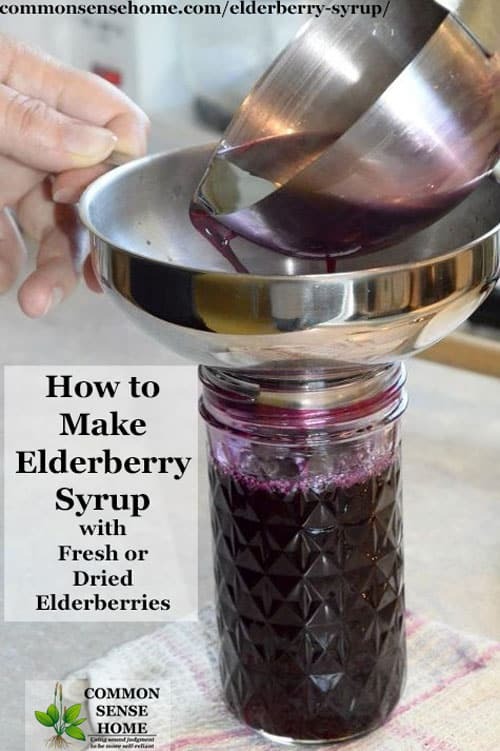 I have shared our canned elderberry syrups with friends in the past. PS – I’m just fine with Merry Christmas or any pleasant salutation of your choice. I was raised Catholic, but over the years have gathered an appreciation for many different beliefs. Wow! 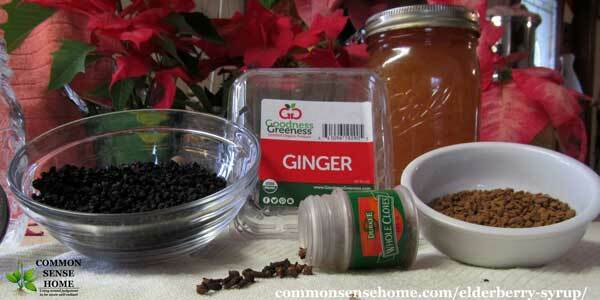 As a novice to canning anything, it all sounds a little intimidating (toxic seeds, cyanide stems). I buy elderberry syrup now because I can’t (won’t) take the flu shot and try to prevent respiratory problems and viruses. Thought I would start growing my own bushes this year and maybe by the time I actually have quantity berry production I’ll feel more confident about making the syrup. Preferably the lower sugar one. Thanks for all you do to keep us newbies informed and inspired. Don’t worry too much about the seeds and stems. The quantity of the compounds is pretty small, but it’s just suggested to avoid them to be on the safe side. Hi, I worked in a small family facility in Montana yrs. ago, we made jams and jellies out of all the wild berries and also rose hips and wild rose petals. The easiest way we found to juice the elderberry was with a wine press. They are a bit expensive but work well. I am so happy I came across your sight, I am now living in Southeast Alaska and we have tons of red elderberries, I wasn’t sure if that’s what they were as all I had ever dealt with were blue. I had heard the reds were a bit toxic also but all of the natives here use the reds so I think I will have a go at it. Thanks for the wonderful sight. If someone was going to do a lot of processing, a wine press would be a good investment. I have heard of the reds being used, but we don’t have them around here. Now I have an large batch of frozen berries in my freezer and am looking for some new recipes … ANYBODY have any ideas? Strain some pulp and mix it with applesauce to make fruit leather? Can anybody help me? I am making elderberry jelly and syrups but am wondering if there is any way to store plain elderberry juice? I would like to have it on hand when needed. Thanks to all for any advice! We canned the straight juice in a water bath canner for 10 minutes with 1/4″ headspace. Thank you so much for your quick answer. I’ve been biting my nails while this juice bag is dripping as to whether or not I had to immediately do something with it. I was up until almost 5 AM with these precious little commodities. Where they used to literally be almost everywhere in this area, all of the new subdivisions that replaced all of the farms has literally made elderberries a “thing of the past”. I’m hoping to be able to sprout quite a few of the seeds and get some elderberries planted in my back yard! We’ve planted a number of them in a windbreak for our driveway, but they’re taking a while to get established. My brother planted some of them here in northern Utah and they did not do much for a few years. I planted mine and in three years they were 10 feet tall. The difference, we determined, was that I fertilize with ammonium sulfate 3-4 times a year. The summer he fertilized, they exploded. I only fertilize in the early spring now as they are about 18 feet tall. Apparently eelderberries are heavy feeders when they are growing. I planted 4 bushes fall of 2014 and they have grown over 10 feet high already! I took the flowers from 2 of them, for cordial and drying, and am already seeing ripening berries on the other 2. Mine get full sun, and water when it rains in NE Kansas. I make the tincture because it lasts forever but am wondering if I can just add whiskey to the juice. Anyone know the poroportions of doing that? Wine is shelf stable at around 10-13% alcohol by volume, so if you could do the math for the volumes you’re mixing, you should be able to get a shelf stable product. For example 1 cup zero percent alcohol (juice) + 1 cup 20% alcohol (40 proof) should equal 2 cups of roughly 10% alcohol. Thanks for your recipes and your comment about using your juicer! I just made the Elderberry Syrup with Honey & Cinnamon and the Syrup with Lemon and Cloves recipes from elderberry bushes I planted last summer. Both recipes were very tasty. You’re welcome. Glad you enjoyed the recipes. It’s you’re using powder, I would probably use less, as it would pack more tightly in the measuring spoon. I just discovered elderberries this fall, dried, and I’m the picky eater in the family and I love them. Will be investing in more can I see drinking this as my iced tea as well as medicinal purposes. I did learn that you can brew them twice so I can at least get good use for my money. I’d like to suggest Ceylon cinnamon rather than the usual cinnamon, it’s far more medicinal. I have seen sticks of it before now. Could you use the powder though? If so how much & what would the procedure be? I usually buy organic Ceylon cinnamon sticks in bulk through our buying club. I’ve updated the post to clarify the preferred cinnamon and added links for purchase. If you wanted to use cinnamon powder, I’d probably use only a small amount if you were going to mix it in and leave it, because too much would potentially cause irritation. Maybe 1/8 teaspoon per batch? I only found elderberry concentrated juice. If I’m making the syrup with the hone how much concentrated juice should I use? That would depend on how concentrated your juice is. You could use it as is, but it would be very strong. Otherwise I’d add water to taste.